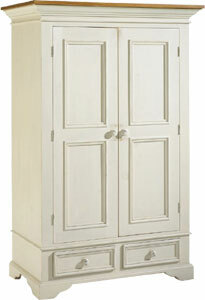 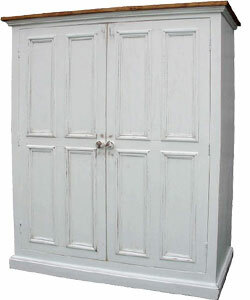 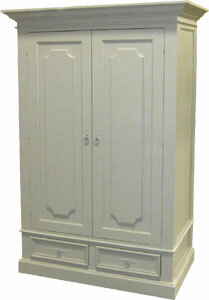 Looking for a French Country armoire or wardrobe for your french country bedroom? 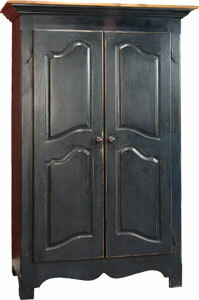 Add style and function to your bedroom, and increase your closet storage, with one of our clothing armoires or wardrobes. 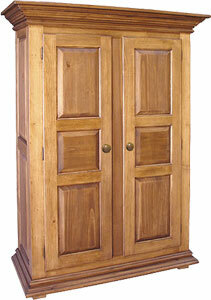 Choices include an armoire with a hanging rod, an armoire with adjustable shelves, or a linen cupboard. 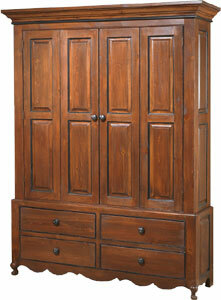 Features found include adjustable shelving, exterior drawers, and hanging space. 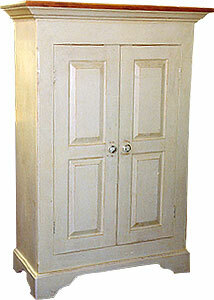 If you need to expand your closet space, these solid wood cabinets will be an attractive addition to any bedroom, whether in your home, cottage, or apartment.